Fresh and sunny, on November 9th, sponsored by the State Intellectual Property Office, the IP Key project is carried out by the European Union Intellectual Property Office (EUIPO) and the European Patent Office (EPO), and the "registered community appearance design and the European Patent China Symposium" hosted by the Guangdong Intellectual Property Office and the Zhongshan Intellectual Property Office was held at the Daxin Business Conference Center Hotel in Zhongshan. 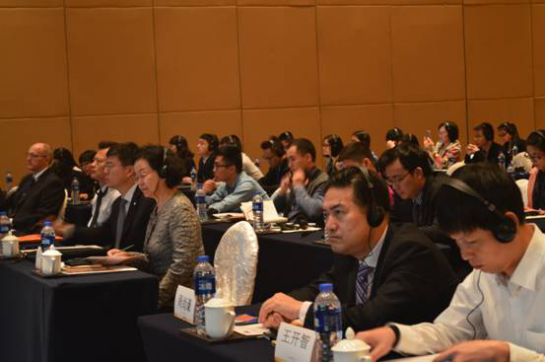 A total of more than 100 representatives from the city’s intellectual property management departments, enterprises and institutions, and intellectual property service agencies attended the seminar. At the beginning of the meeting, Wu Kai, Director of the International Cooperation Department of the State Intellectual Property Office, Tang Yi, Deputy Director of the Guangdong Provincial Intellectual Property Office, and Wu Yuexia, Deputy Mayor of the Zhongshan People's Government attended the meeting and delivered speeches. 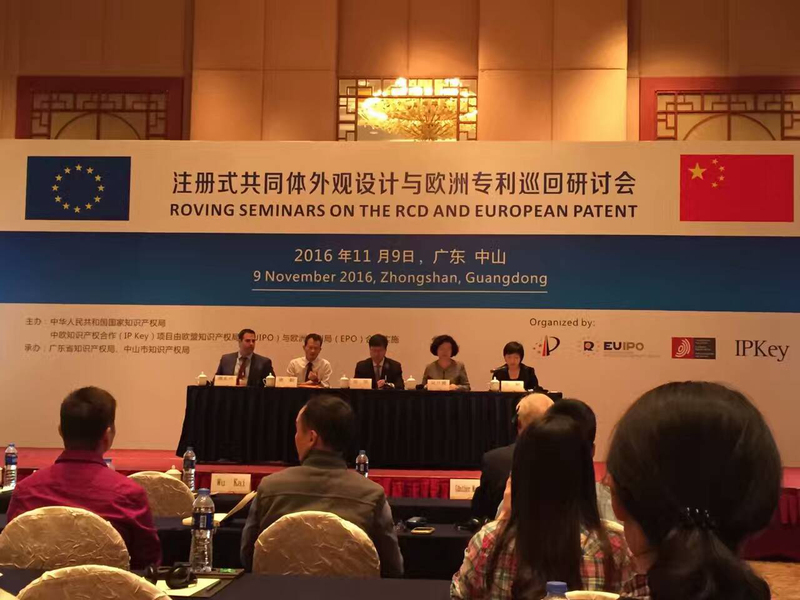 At the meeting, Director Wu Kai expressed that he hoped that this seminar could strengthen Sino-European intellectual property exchange and cooperation and help Chinese enterprises to better use the patent system to apply for and protect design and invention patents in Europe, and further expand overseas markets. Deputy Mayor Wu Yuexia said that the city urgently needs to expand the European market through the intellectual property system. Through this seminar, it will carry out multi-channel, multi-field, multi-level exchanges and improve the level of overseas distribution of enterprises. 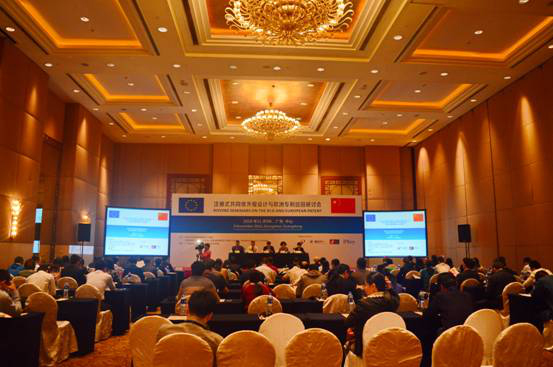 The seminar focused on how to apply for, maintain and use the registered community design in the European Union, the latest progress of the European patent system, etc., which deepened the understanding of the participants on the European intellectual property system, and provided guidance and support for Chinese enterprises to develop patent overseas layout and intellectual property rights overseas rights, and help Chinese enterprises and individuals to protect their design and use the European patent application system more efficiently in the EU. Our representatives are actively involved in seminars, and communicate directly with experts from institutions such as the European Union’s Intellectual Property Office, the European Patent Office, etc., and continue to learn and go international, striving to provide better design and patent application and protection for companies in Europe.